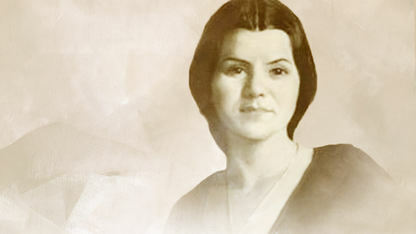 Known as the “Songbird of the Chickasaws,” Tessie Mobley was an excellent singer. She was raised in Ardmore, Oklahoma, and as a child studied opera and piano. Mobley’s professional career flourished at an international level. Tessie’s talent was discovered by Charles Wakefield Cadman and her professional appearances followed. She performed at the Hollywood Bowl as soloist during the Indian Ceremonials in 1929. Mobley also toured to perform for the American troops during World War II. She was the first American Indian to perform at La Scala in Milan, Italy. Tessie was a beautiful performer, “reputed to be the most beautiful Indian woman in America.” Although beautiful and talented, Mobley never forgot about the importance of her heritage. She was always quick to tell her audience that she was a Chickasaw from Oklahoma. Her pride in her tribe was evident throughout her decorated life. Mobley passed away in 1990 in Ft. Worth, Texas.